Supreme Court today referred the matter on cutback of life imprisonment of seven convicts in Rajiv Gandhi assassination case to a Constitution Bench and held that interim order of the court staying the Tamil Nadu government's decision to free them will be in effect till the matter is decided by the Constitution Bench. Framing seven questions to be decided by the Constitution Bench, Chief Justice P Sathasivam, who is retiring today as Chief Justice of India, said that the petition filed by the Centre, challenging the Tamil Nadu government's decision to remit the sentences, will be decided by the Constitution Bench. 1. Whether imprisonment for life in terms of Section 53 read with Section 45 of the Indian Penal Code meant imprisonment for rest of the life of the prisoner or a convict undergoing life imprisonment has a right to claim remission and whether as per the principles enunciated in paras 91 to 93 of Swamy Shraddananda (supra),a special category of sentence may be made for the very few cases where the death penalty might be substituted by the punishment of imprisonment for life or imprisonment for a term in excess of fourteen years and to put that category beyond application of remission? 2. Whether the “appropriate Government” is permitted to exercise the power of remission under Section 432/433 of the Code after the parallel power has been exercised by the President under Article 72 or the Governor under Article 161 or by this Court in its Constitutional power under Article 32 as in this case? 3. Whether Section 432(7) of the Code clearly gives primacy to the executive power of the Union and excludes the executive power of the State where the power of Union is co-extensive? 4. Whether the Union or the State has primacy over the subject matter enlisted in List III of Seventh Schedule of the Constitution of India for exercise of power of remission? 5. Whether there can be two appropriate Governments in a given case under Section 432(7) of the Code? 6. Whether suo motu exercise of power of remission under Section 432(1) is permissible in the scheme of the section if, yes whether the procedure prescribed in sub-clause (2) of the same Section is mandatory or not? 7. Whether the term “consultation” stipulated in Section 435(1) of the Code implies “concurrence”? Constitution Bench will deal with an important question of law whether the sentence of a prisoner, whose death penalty has been commuted to life, can be remitted by the government. Mostly the Bench will take up the matter within three months. 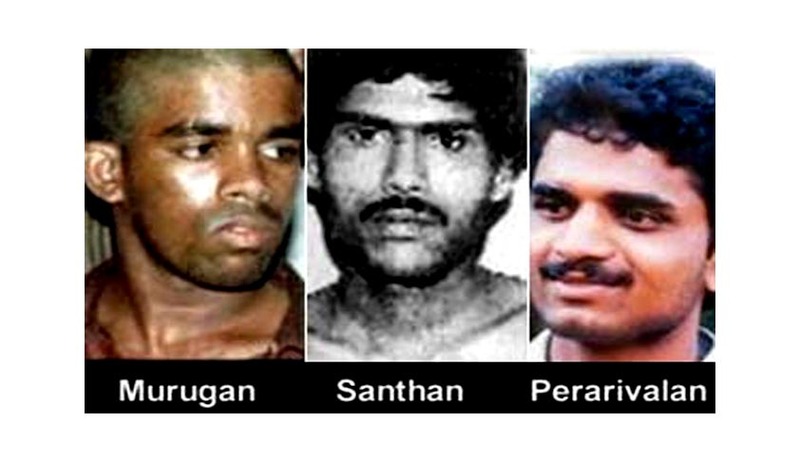 On February 18 the Supreme Court has granted relief to the three convicts in the Rajiv Gandhi assassination case, Murugan, Santhan and Perarivalan, by commuting their death sentence into life term on the grounds that the 11-year delay in deciding their mercy petition by the Central government had a dehumanizing effect on them. The very next day Tamil Nadu Government led by Jayalalithaa had decided to set free all the seven convicts in the assassination case. The court had on February 20 stayed the decision to release of three convicts--Murugan, Santhan and Arivu-- whose death sentence was commuted to life term by it on February 18 in the case, saying there had been procedural lapses on the part of the state government on the decision to release them. The apex court later on had also stayed release of the other four convicts, Nalini, Robert Pious, Jayakumar and Ravichandran in the case.